It is really hard for me to not be romantic about Louisiana history. Somewhere in between the unique roots of our culture and the larger than life characters I just get caught up in it. 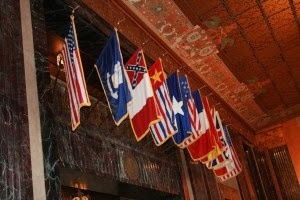 When it comes to state history, Louisiana’s is a hard one to beat. 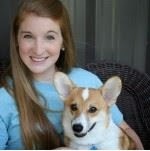 The truth is, being from Baton Rouge makes you a little elitist when it comes to Louisiana history. You can’t have Louisiana history without Baton Rouge. We are right in the epicenter of it and sometimes it gets hard to not be proud of it. 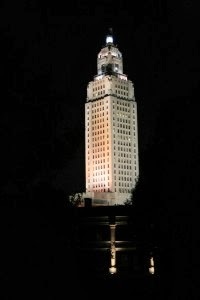 There is no better testament to Louisiana history, or a better place to really get a feel for it, than the New Louisiana State Capitol building. You can look at photos, see it on TV, or drive by it every day – but there is nothing quite like seeing it first hand. It is just a place you have to experience yourself. Built in 1932, the Capitol building is packed with history and interesting things to see. The Capitol, which was once just a dream of Governor Huey P. Long, is also where Long was assassinated in 1935. While visiting the Capitol, you can see exactly where it happened and walk through the same hallway where the event took place. The capitol has even left the marble that was damaged by the gunfire. Talk about history right in front of your eyes! Take a walk through the main floor, also known as Memorial Hall, and get a good look at all of the paintings and art deco architecture. There entire hall is covered in details. From the bronze portraits of governors on the elevator doors to the flags representing the countries that have had claim to Louisiana, there is a lot to see. 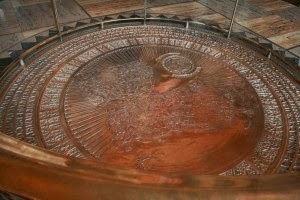 One of my favorite things in the capitol is the giant bronze plaque in the middle of the Memorial Hall floor. The plaque weighs over 3000 lbs and shows a beautiful map of Louisiana along with our exports, imports and local plants. (If you have seen the movie “All the King’s Men” this is exactly where the ending scenes were filmed!) When you’ve soaked all that in, wander over to the beautifully ornate senate and house chambers and see where our legislators sit during session. On your way out take a second look at all of the details on the exterior of the building. All of the reliefs portray Louisiana’s economy and resources. You can also see the words “We have lived long but this is the noblest work of our whole lives. . . The United States take rank today among the first powers of the world” engraved in the stone of the entrance. This quote comes from the actual Louisiana purchase meeting that took place in 1803. Also, make sure you take a look at the beautiful 30 acres of gardens! They are full of azalea bushes, magnolia trees and of course, live oaks. A few of the live oaks you will see are over 200 years old! The 30 foot tall statue of Long in the middle of his garden also serves as his grave marker. 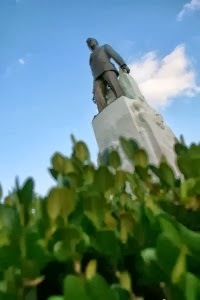 What once was just a dream of the most influential man in Louisiana history, is now a symbol of our state – and one of my favorite places in the entire city. If you haven’t seen it, what are you waiting for? Go down and let yourself soak in all of the rich history and impressive architecture. If you have seen it, you should consider another trip. Every time I go I learn something new about the building. The capitol staff at the visitors desk, right on the main floor, will tell you exactly what not to miss while you are there. They know more about the history of the building than you could imagine. History buff or not, the capitol has something for everyone. 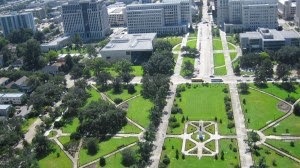 What is your favorite Baton Rouge history hotspot? Know any other fun facts about the capitol building? Share it with us in the comments!